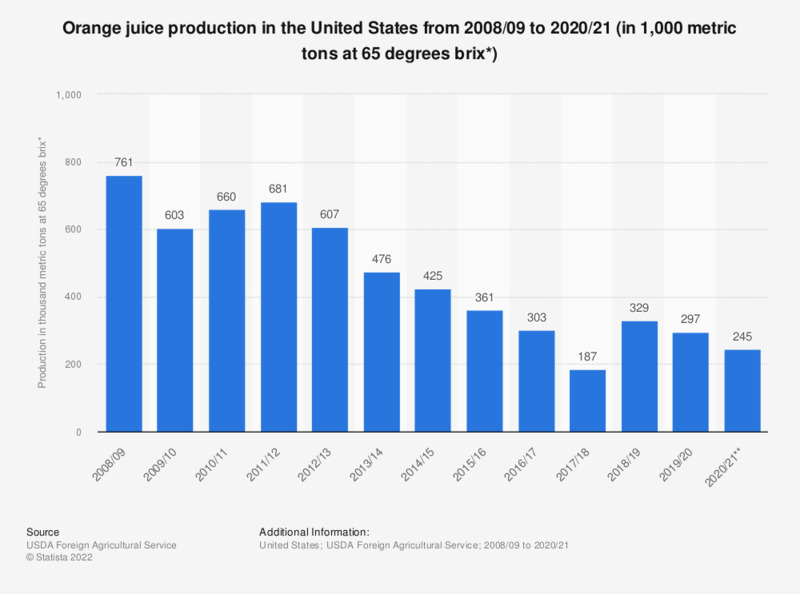 This statistic shows the orange juice production in the United States from 2008/09 to 2017/18 and provides a forecast for 2018/19. The U.S. production of orange juice was estimated to decline to about 327 thousand metric tons at 65 degrees brix in 2018/19. For 2007/08 and after, one metric ton of 65 degrees brix equals 344.8 gallons at 42 degrees brix and 1,392.6 gallons at single strength equivalent. Split years refer to the harvest and marketing period, which corresponds roughly to October-September in the Northern Hemisphere. To what extent do you agree with the following statement: ''My company is suffering from unfair trading practices''?